If you're planning a visit to Texas soon, or if you live in Texas and just looking for a new destination to explore, look no further than the awesome panhandle city of Amarillo. Often overlooked for the larger cities of Houston and Dallas, Amarillo has so much to offer its visitors. Situated in the middle of the Texas panhandle, Amarillo is the 14th most populous city in Texas but still holds on to that small town atmosphere. I recently took a trip here with my dad and fell in love with the old west theme that is present throughout the entire city. 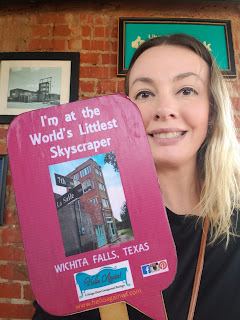 Hopefully looking through my pictures and reading about the places I visited with my dad will help you consider a trip to the beautiful city of Amarillo, Texas! The historic Route 66 drive that goes through the heart of America runs right through Amarillo. There is a section of the city designated as the site of the original drive and it doesn't take long at all to drive down this short stretch of highway. While this drive is a far cry from what it was in its glory days, it's still a nice little bit of nostalgia and you now have bragging rights to say you were on this super famous road. 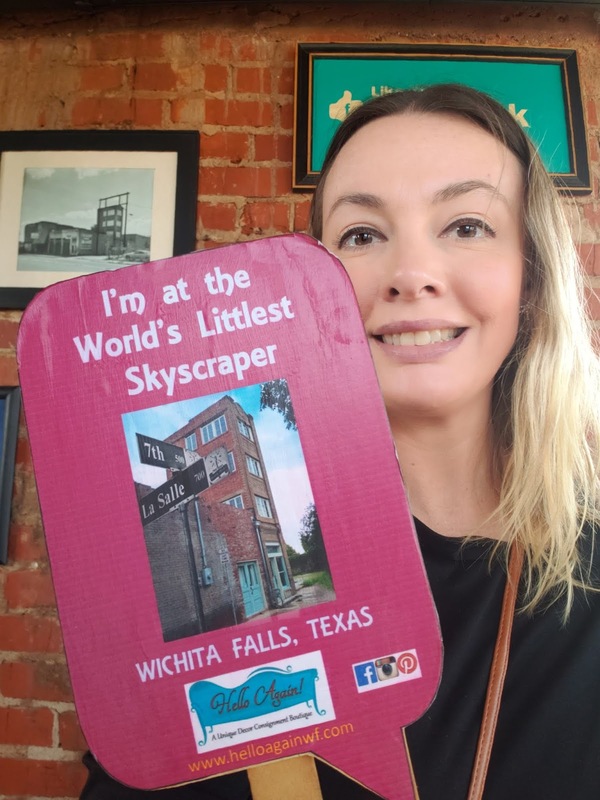 Over the years this restaurant has become a popular tourist attraction in Amarillo. It's super famous for the 72 ounce steak challenge...if you can eat it all you get it for free :) Unfortunately no one was doing the challenge while we were there but we did get serenaded by an older gentleman playing the guitar. Such a great old west atmosphere and the steaks (smaller ones of course LOL) were pretty great too! Don't miss a trip to the back where there are some great photo opportunities and a shooting game! If you love history and want to learn about the panhandle plains area then a stop at this museum is a must! Admission is only $12.50 per person and it's worth every penny. This museum is HUGE! We spent at least 3 hours here and probably didn't see everything. My favorite exhibit was the old west town. Set up to look exactly like a town would back in the early 1900s this was a trip back in time. So much history in one section of the museum! I could've spent hours here! Nicknamed "The Grand Canyon of Texas" this is the second largest canyon in the US and is a must see for anyone visiting the Amarillo area. It's only $8 per person for a day pass and totally worth it. If you don't have a lot of time to visit the canyon then take the scenic drive through the park. It takes you from the top all the way to the canyon floor then back again for some stunning views that aren't to be missed. There are many pull offs along the way so you can safely stop and get some photos. There are also many hiking trails for the adventurous but don't forget the water and watch out for snakes! Dad and I were actually looking for the post office when we ended up in downtown Canyon and instantly fell in love with the old town feel. The huge courthouse was beautiful and surrounding it were old shops and restaurants that looked as if they hadn't changed much in the last 60 years or so. Directly across the street from the courthouse was a little place called Rock N Roll Soda Shop. We decided to give it a try and we were instantly glad we did. Set up like a 50s diner this place screams nostalgia! Wall to wall memorabilia...not to mention the old music playing through the speakers all added to the classic theme. We were informed by one of the workers that this place was opened in 1958 and has most of the original furnishings. How cool is that?! If you love classic cars then a stop at Bill's is a must! Located in the heart of Amarillo this place has over 100 classic cars that are in mint condition. It's a car lovers paradise and my dad was having a blast checking out all the old cars. The backstory on this place is simple. A man, Bill, loved cars so much that he bought most of the cars you see within 3 years in the condition they are currently in and decided to show them off. A pretty ingenious business venture considering Route 66 isn't far away and people travel from all over the world for a trip down the famous road. You can see all Bill's cars for only $10 per person and take all the pictures you want....but don't touch the cars! Normally when you think of a skyscraper you think of a very large building that you need an elevator to reach the top. Well technically this isn't a skyscraper but it was supposed to be. Built in 1919 this building has a unique backstory that I won't totally go into. The very short story is a man duped several other men out of a lot of money by drawing up plans to build a huge skyscraper only when they signed off on the plans they didn't read the fine print. The measurements were in inches instead of feet letting the builder get away with building this 4 story tiny building and running off with most of the money....and there was nothing they could do about it. It's kind of a hokey little attraction but if you're in the area it's worth a visit. It's free to go inside but there is no elevator and the stairs are narrow and steep. Our trip to Amarillo was so much fun. 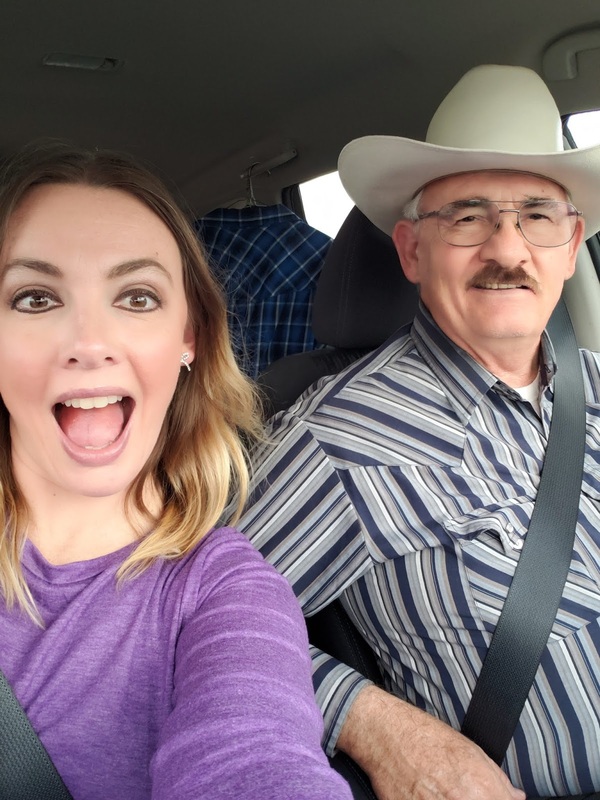 I loved spending time with my dad and seeing all the cool unique attractions Amarillo (and surrounding areas) has to offer. If you're thinking of a trip to the Texas panhandle then look no further than Amarillo. You won't regret it! There are so many things to see and do that I wasn't able to do them all. Maybe one day I'll get to make a trip back to Amarillo and see everything. 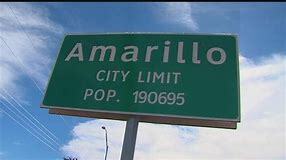 Have you ever been to Amarillo? Wichita Falls? What did you do while there? 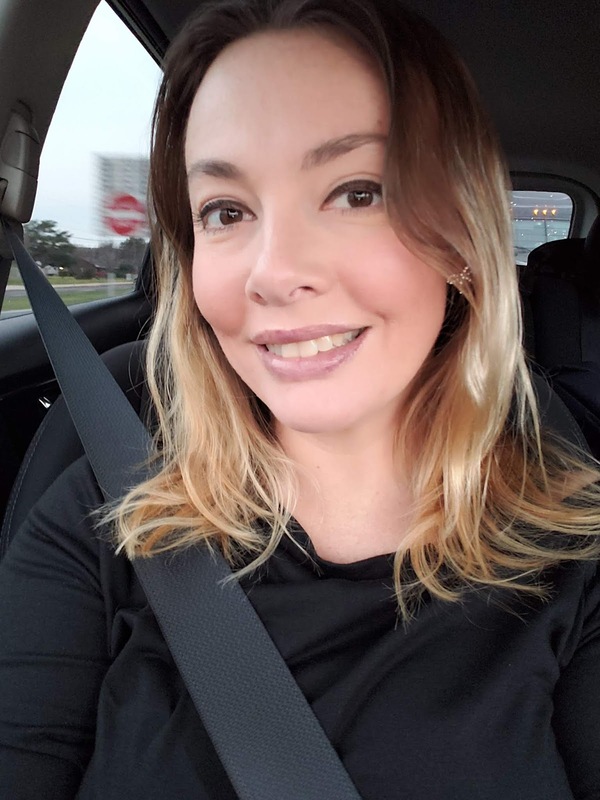 I love to hear travel stories and see pictures from everyone's travels. You can share pictures and stories of your Amarillo trip on my Facebook page under this post. 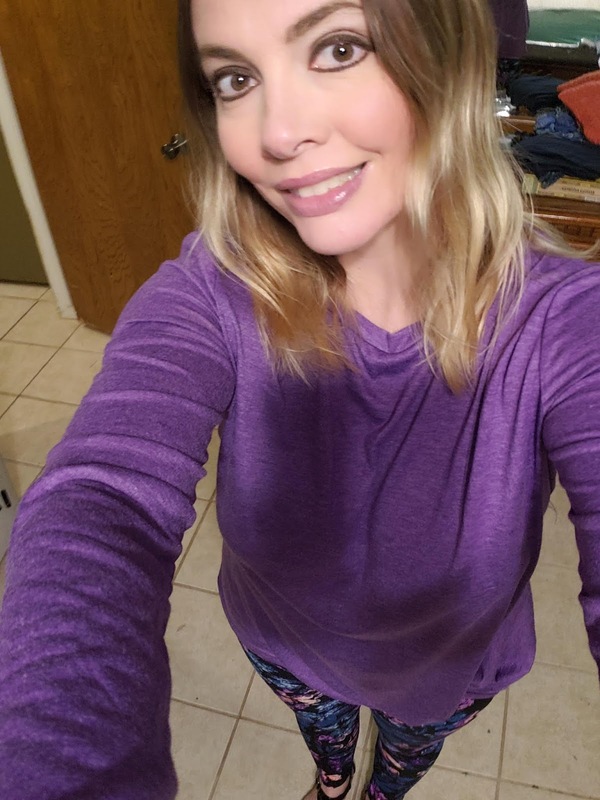 I'd love to hear from you. Hello there and welcome to my blog. One of my favorite things to do and something I obsess about is traveling and experiencing new and exciting things. Join me as I go on adventures around the U.S. and hopefully one day the world.